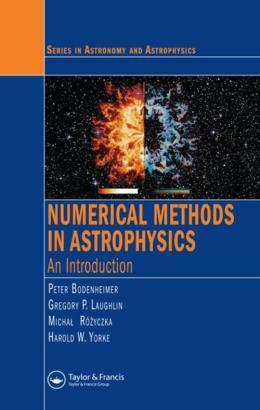 Numerical Methods in Astrophysics: An Introduction outlines various fundamental numerical methods that can solve gravitational dynamics, hydrodynamics, and radiation transport equations. This resource indicates which methods are most suitable for particular problems, demonstrates what the accuracy requirements are in numerical simulations, and suggests ways to test for and reduce the inevitable negative effects. After an introduction to the basic equations and derivations, the book focuses on practical applications of the numerical methods. It explores hydrodynamic problems in one dimension, N-body particle dynamics, smoothed particle hydrodynamics, and stellar structure and evolution. The authors also examine advanced techniques in grid-based hydrodynamics, evaluate the methods for calculating the gravitational forces in an astrophysical system, and discuss specific problems in grid-based methods for radiation transfer. The book incorporates brief user instructions and a CD-ROM of the numerical codes, allowing readers to experiment with the codes to suit their own needs. With numerous examples and sample problems that cover a wide range of current research topics, this highly practical guide illustrates how to solve key astrophysics problems, providing a clear introduction for graduate and undergraduate students as well as researchers and professionals.